Our western adventure is coming to a close. 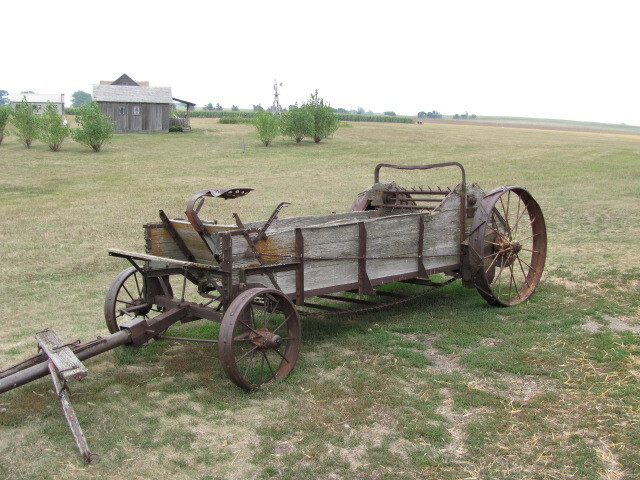 This last item on our agenda with any western flavor to it will be a visit to DeSmet, South Dakota. This is the homestead of a Mr. Charles Ingalls and his family. In case this place and name are causing you to scratch your noggin allow me to add a few descriptive words. Charles Ingalls was Pa Ingalls on the television show called “Little House On The Prairie.” The star showed Michael Landon and Melissa Gilbert as Laura Ingalls. 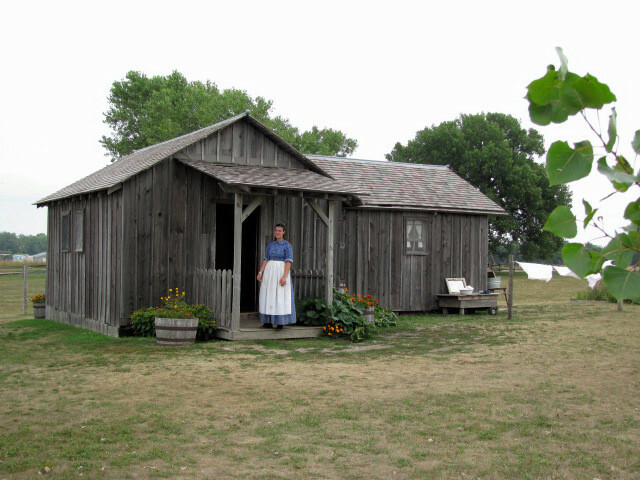 This homestead and the writings of Laura Ingalls later in her life were the inspirations for the hit show. 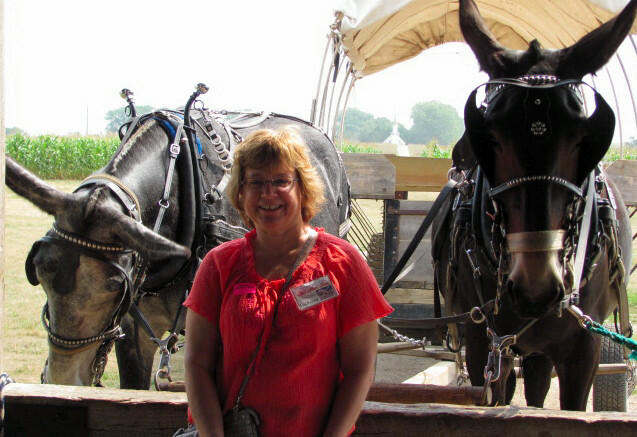 Laura Ingalls wrote a series of books on her families exploits doing her earlier years. A dugout home was here on site to explore. A dugout was a home-built with sod and grass. 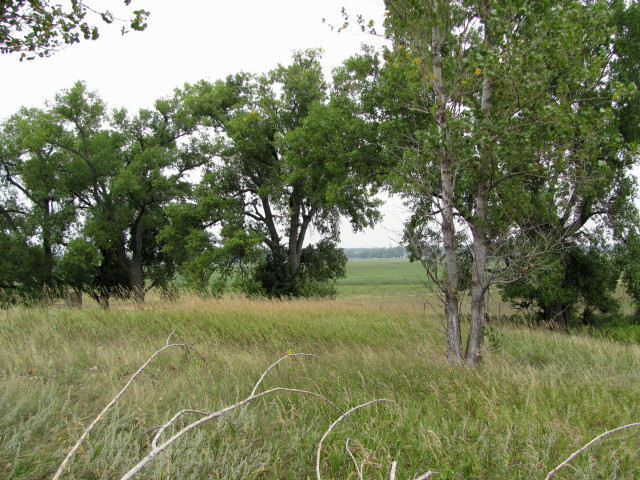 Remember trees were scarce in these grassy prairies. 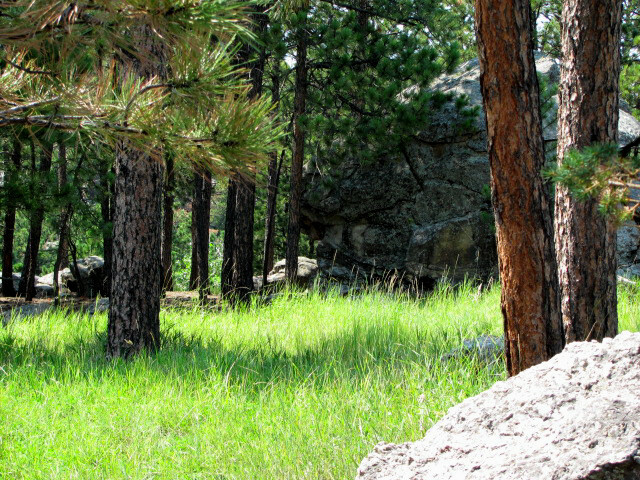 A claim shanty was built at this site in 1878. 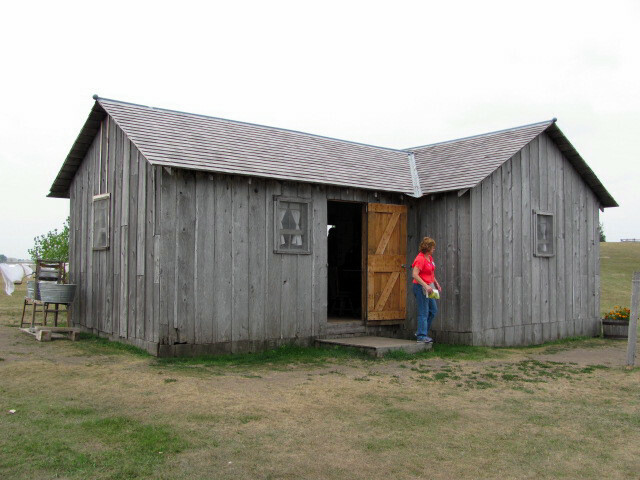 Soon the Ingalls family built their lives on site. 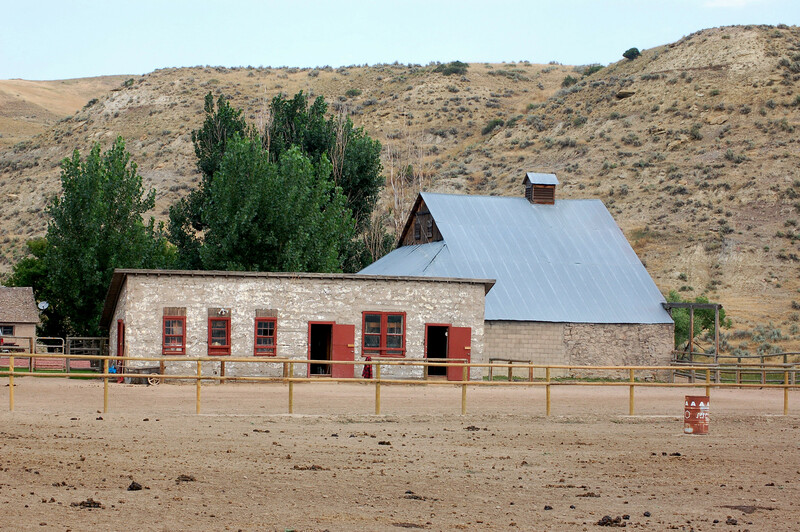 Today there is a reconstruction of their home and barn. 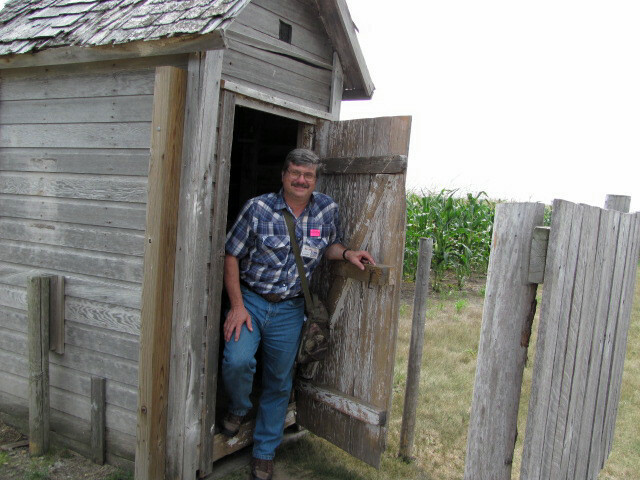 An outhouse is on site too. Laurie was impressed how small the home was. Ingalls dug a six feet deep well. 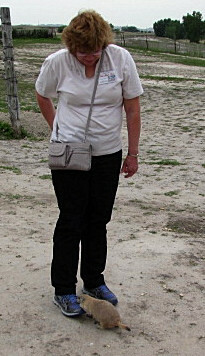 A workable hand pump can be used by visitors. I remember using these and the outhouses in my early days through my teens. 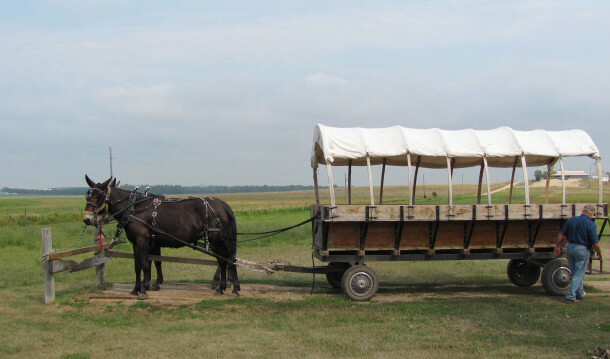 We jumped in a covered wagon motorized by two mules. 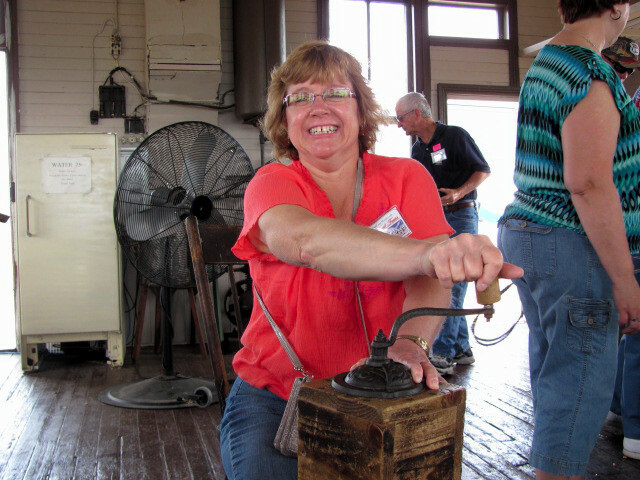 Laurie took the reigns as we traveled across the property to an original one room school house. She enjoyed that! We entered the school and sat in old desks several of which were original to the school. This school was not the original to the site. The first one burned down in and around 1887 I believe. We had a chance to be educated by a school teacher of the time. 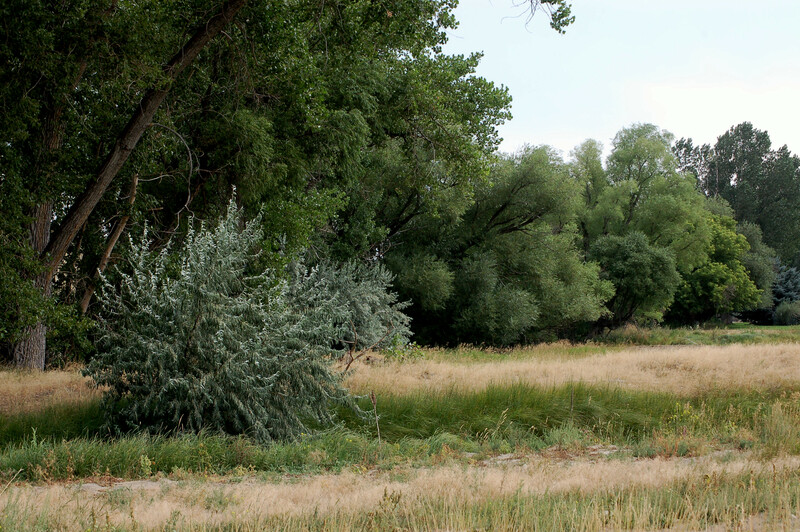 Charles Ingalls planted many Cottonwood trees. Only five of them currently exist. 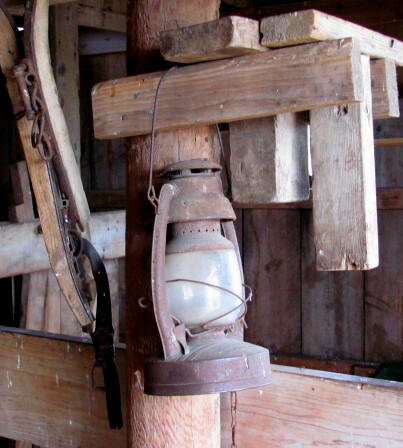 We had chances to make things as the early pioneers did. The projects included making rope; grinding wheat into flour and making corn cob dolls. The trip east towards Pennsylvania is now full swing as we travel. Some other wildlife species we saw included the Sandhill Crane and Snowy Egrets. We arrived home on August the 23rd around 8:00 P.M. from our trip to the west. 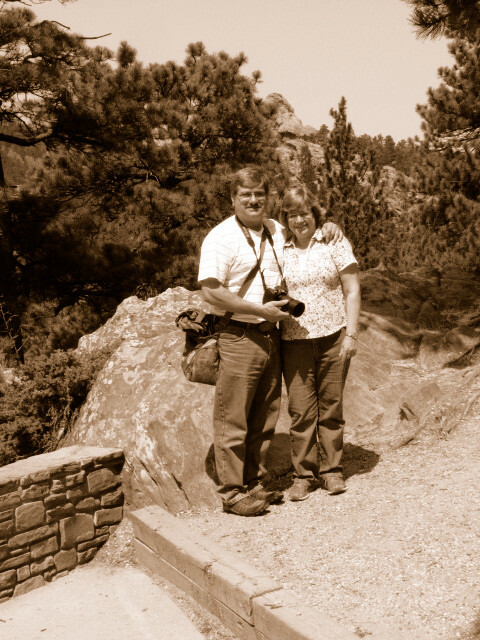 We had a great time seeing many sites. 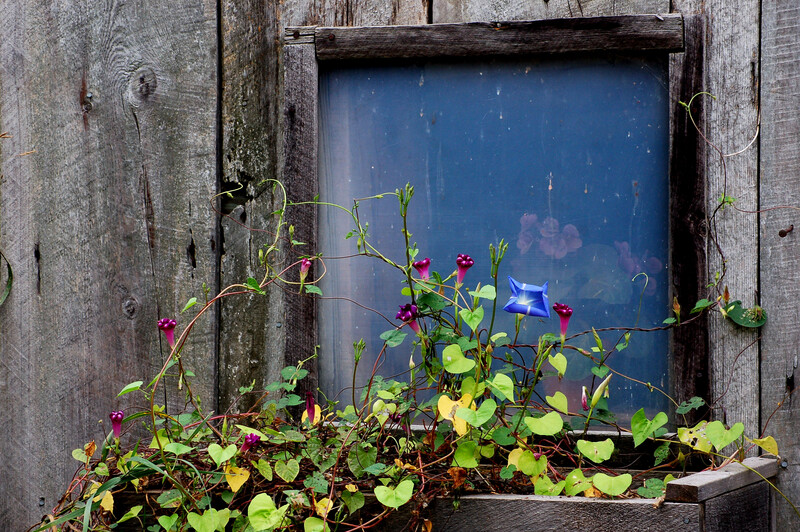 Many more months would be needed to even touch the surface of everything to see. happy Trails to you all. 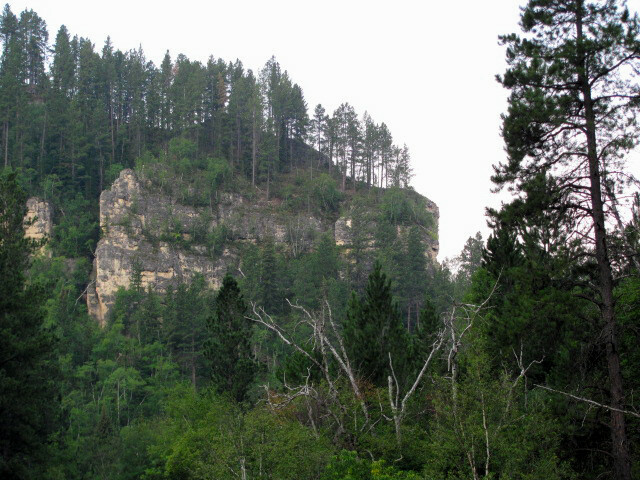 The Indians claimed this area of South Dakota to be “bad lands” hence the name. I have to admit as a Pennsylvania boy I am used to lush greenery. My home lands here do not compare with the countless acres of Badlands. 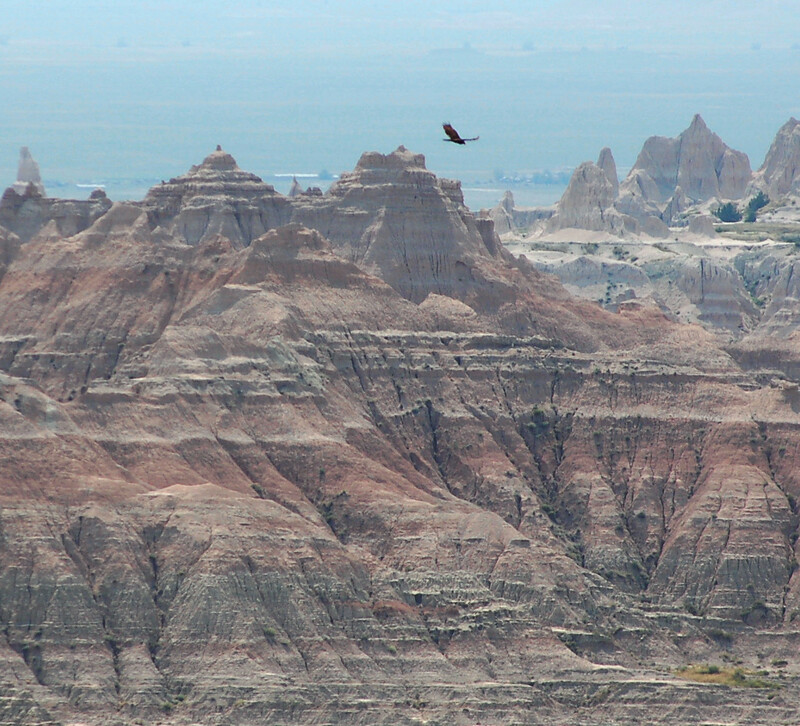 But the Badlands do have a strange beauty about them. 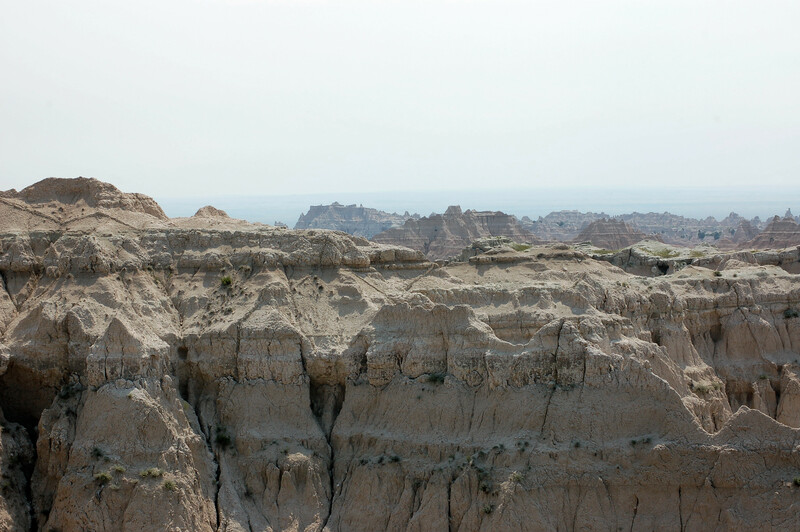 The Badlands are primarily a barren, arid, sandstone and rock piece of real estate. 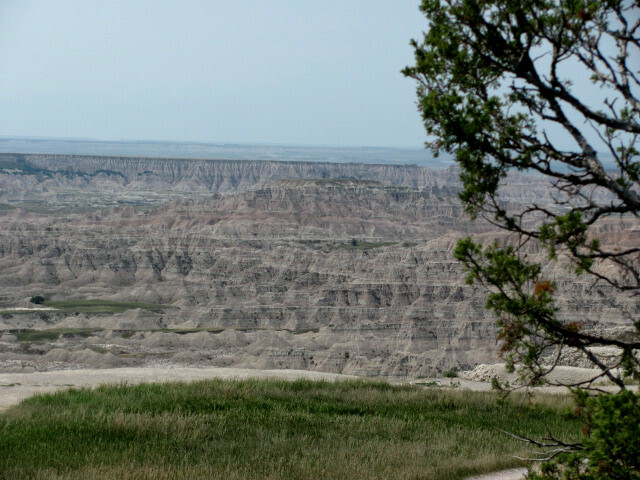 There is little vegetation around in the immediate Badlands. However, there are grassy, prairie-like plants on the places where erosion hadn’t washed away any amount of top soil. The day we were visiting them the temperature was 104 degrees. I imagined early native and trappers traveling along. 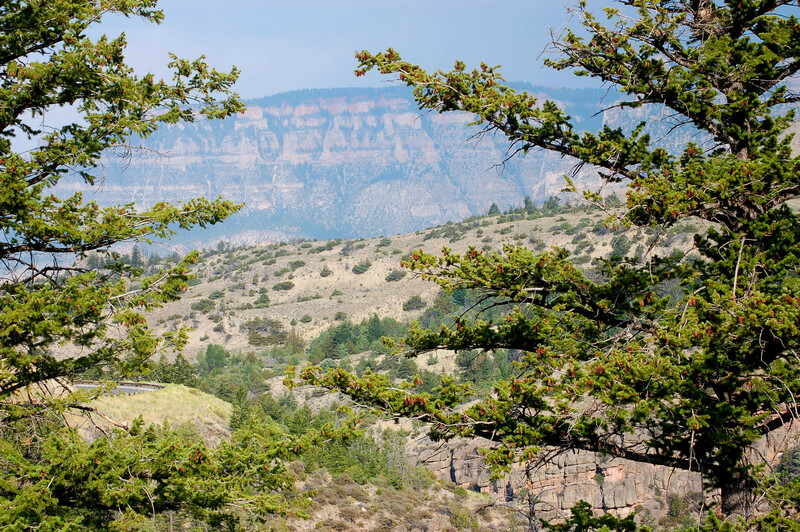 I, easily, envisioned outlaws heading into and among the massive eroded slopes and rocks. 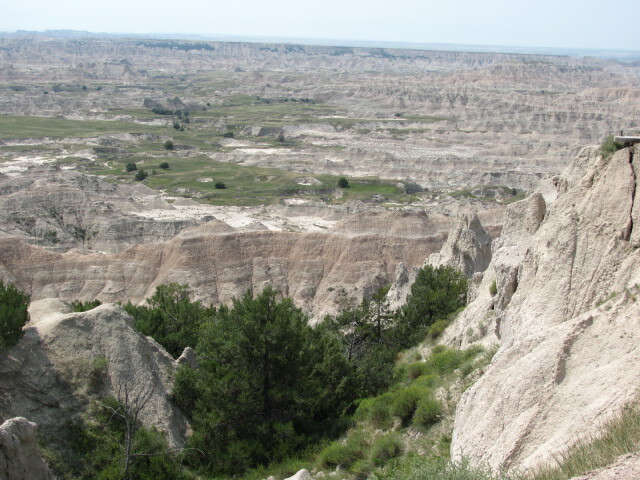 Deep, steep hills and gullies make up the Badlands. How does anything survive? How did anyone exist here? I watched a turkey vulture soaring about with its shallow V-shaped wing position. 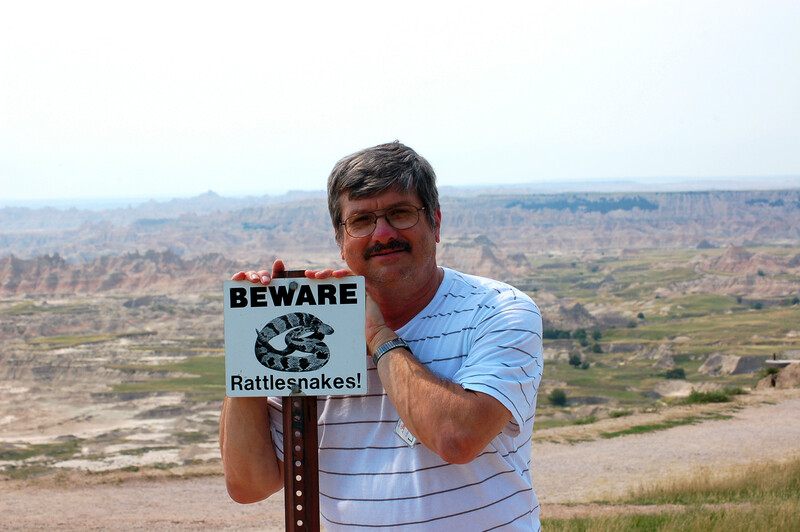 Rattlesnakes are living here as well. I hoped to see one for photographs, but, I failed to see any of the ratting serpents. 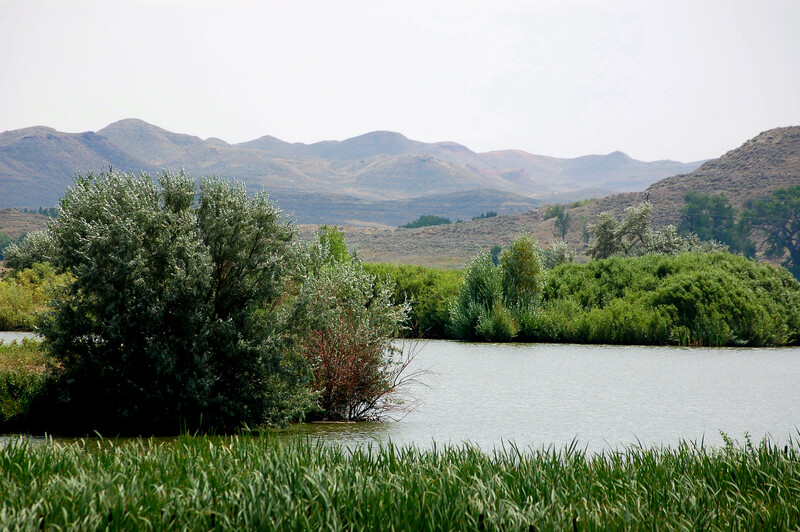 Other wildlife species survive and exist within this bleak-looking landscape. 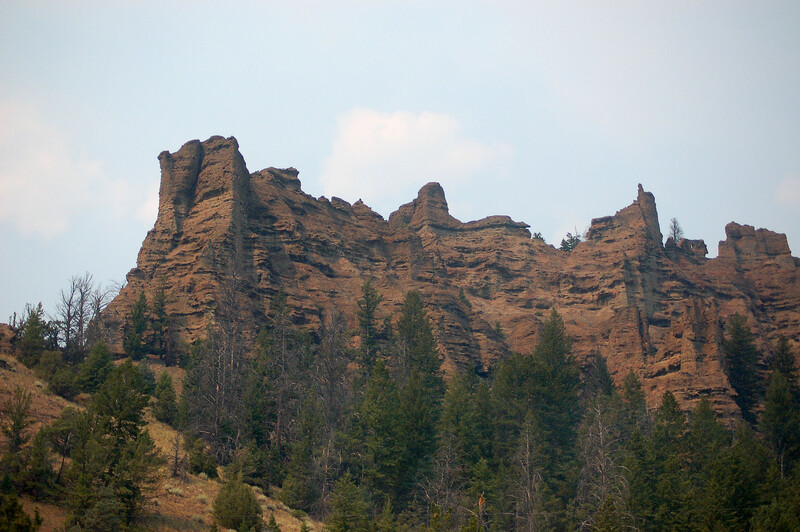 The rock formations yield an array of colors. One can see whites, yellows, reds, blues, purples, browns and pinks depending on the time of day and sun positions. 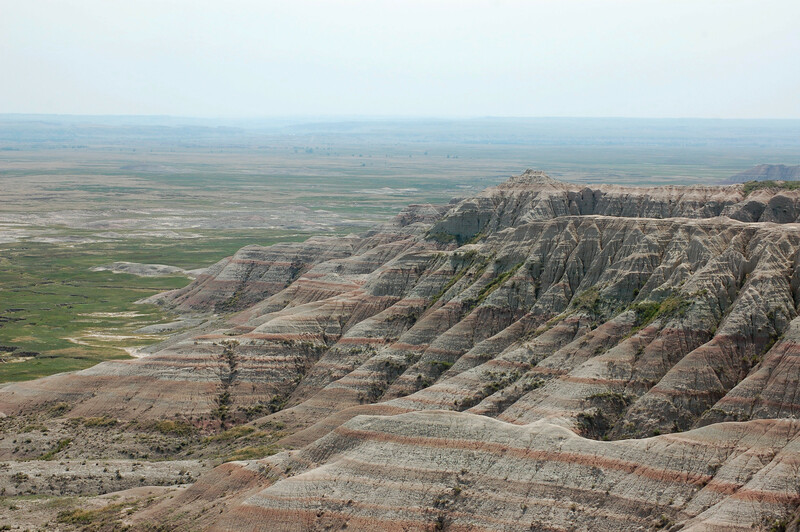 As we traveled about the loneliness of the badlands began shaping more into grassy, yet treeless areas. Erosion had not reached these places. We noticed the white earthen mounds scattered about . these sometimes would cover acres of ground. We were witnessing Prairie Dog colonies. 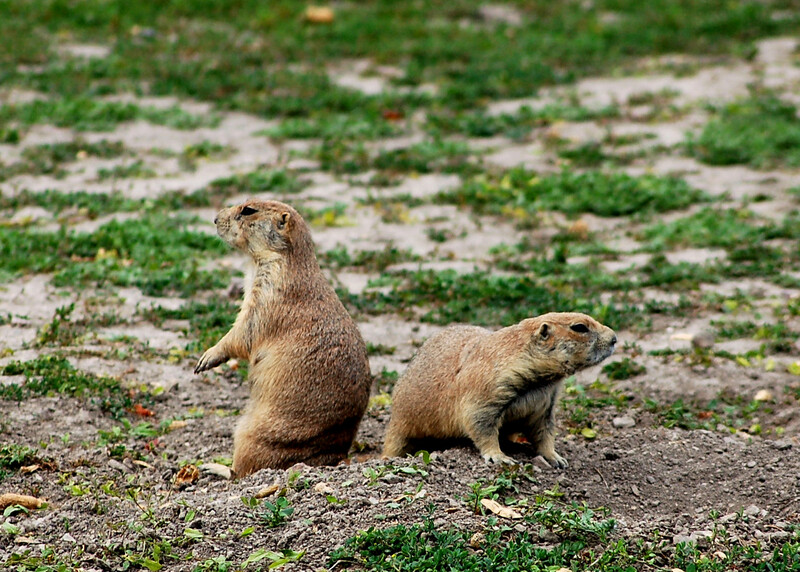 I don’t know why these little groundhog-like mammals intrigued us so, but we were exited to see them. We really wanted to see them up close and when we stopped at a close colony we did just that. 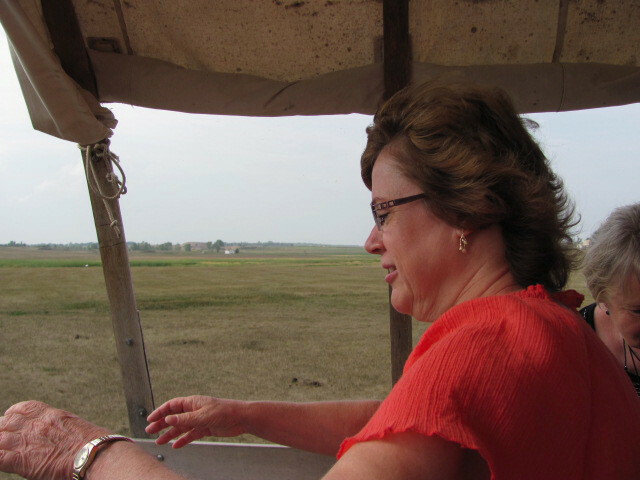 We immediately could see a lot of Prairie dogs. Occasionally, one would, while standing, arch its back and pull the head backwards and give out a squealing type of bark. 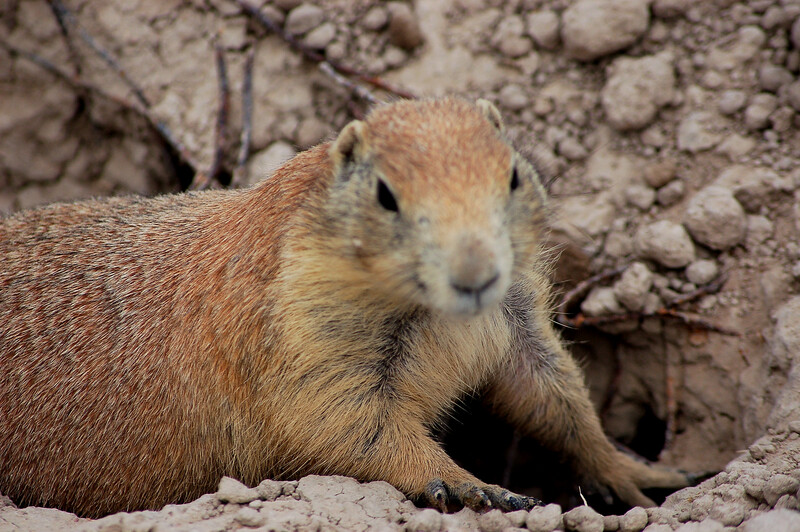 One Prairie Dog, upon seeing me, walked up to me to gnaw on my shoe. I moved away allowing the little guy to approach Laurie. He did the same thing until the teeth started towards the shoestrings. We backed off. 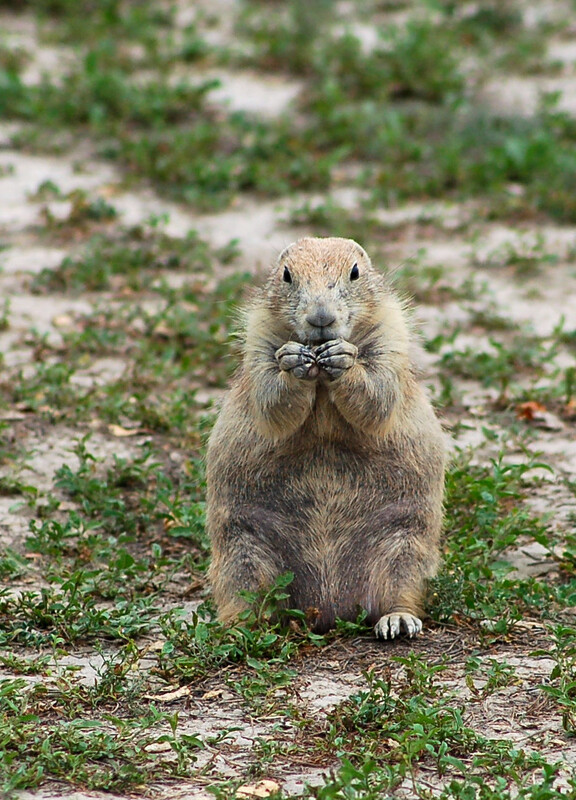 Two predators of Prairie Dogs are the rattlesnake and the Black-Footed Ferret. The ferret was once believed to extinct until some were found in Wyoming in 1981. Reintroduction programs appear to be promising. Let us hope so! I have been aware of Mount Rushmore since my youth five years ago. Well, we finally had the opportunity to see this great feat of workmanship. 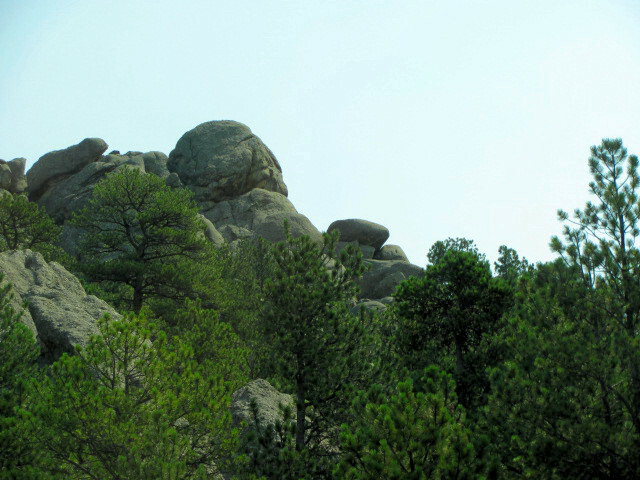 The man who spearheaded this huge task of carving into a granite hill was Gutzon Borglum. His dream was to create a special place to share the American dream. 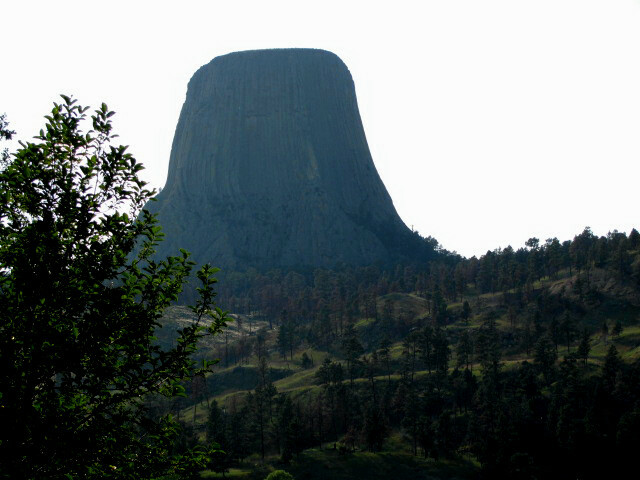 The actual work began in 1927 and was completed in 1941. Explosives and jack hammers and the work of around 400 workers made this happen. 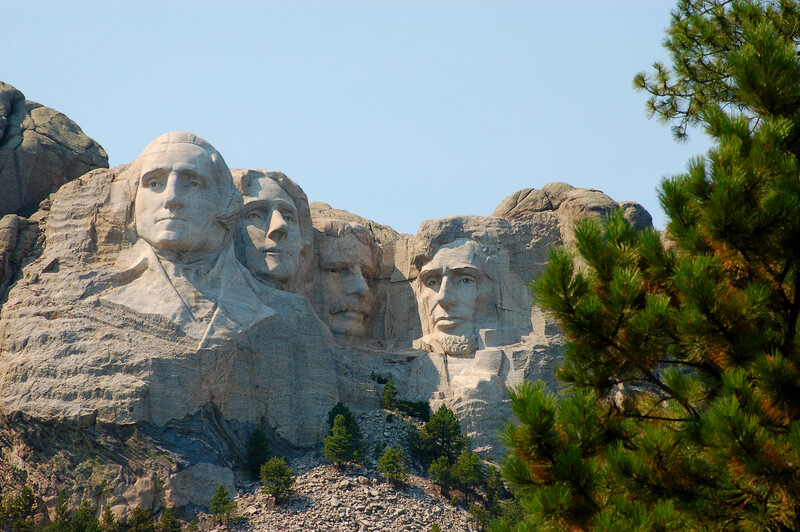 The president’s faces displayed in the carved hill’s side are George Washington, Thomas Jefferson, Theodore Roosevelt and Abraham Lincoln. Each face is sixty feet tall. For instance to demonstrate the size, Washington’s eyes are each 11 feet in length and his nose is 21 feet long. Now that is a honker! Laurie and I walked a boardwalk that allowed us to walk under this huge undertaking. Of course, Laurie found what she had been looking for here…Black Hill Gold ear rings! Crazy Horse was a Lakota Sioux born around 1842.his life witnessed the final push of the Sioux Nation. he would be pulled into the great conflict and take part of the infamous “Custer’s Last Stand” in June of 1876. 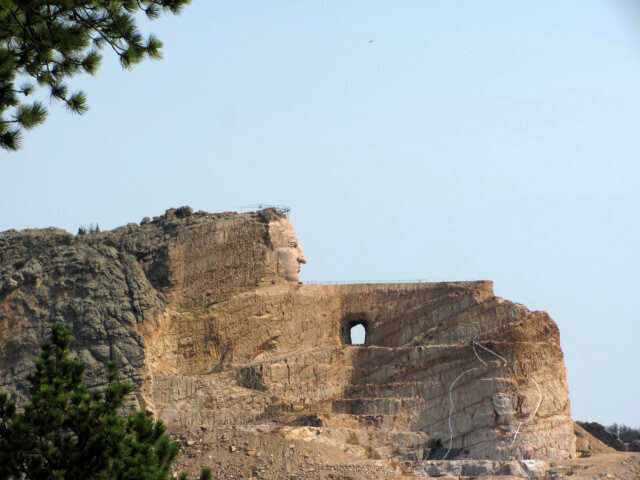 When the treaty failed, Crazy Horse took up arms against the United States. After such events as Wounded Knee (The United States government massacred over 200 Sioux, mostly women and children and the elderly.) the great Sioux nation became a defeated nation….sad! Upon their ceasing hostility against the whites, a soldier asked Crazy Horse, “Where are your lands now?” The great warriors response was, “My lands are where my dead lie buried.” He was stabbed by a soldier in 1877. 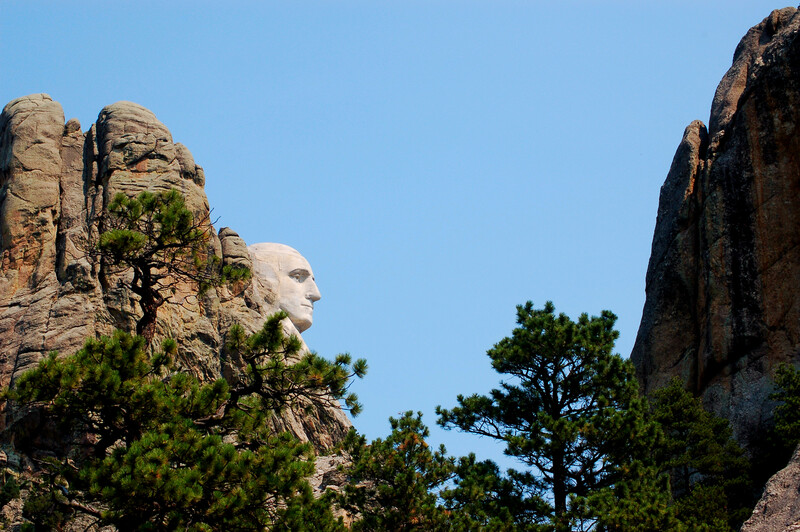 A man named, Korczak Ziolkowski took on this huge task of creating the Crazy Horse Memorial was begun in 1948. 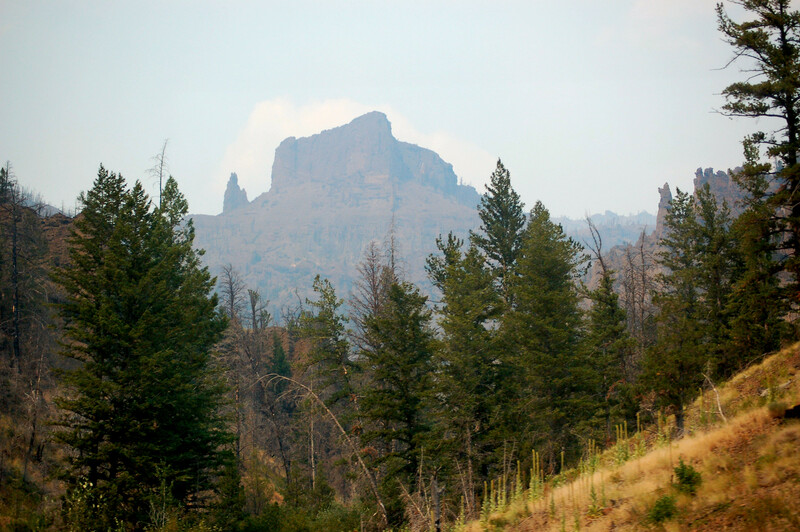 The image of the chief’s head is complete and much preliminary terracing of the mountain. It will be many years until completion. This man died in 1982 and through private funding the work continues. The horse’s head has been outlined and the hammering and controlled blasts will someday move forward towards the final result. A museum, is on site. 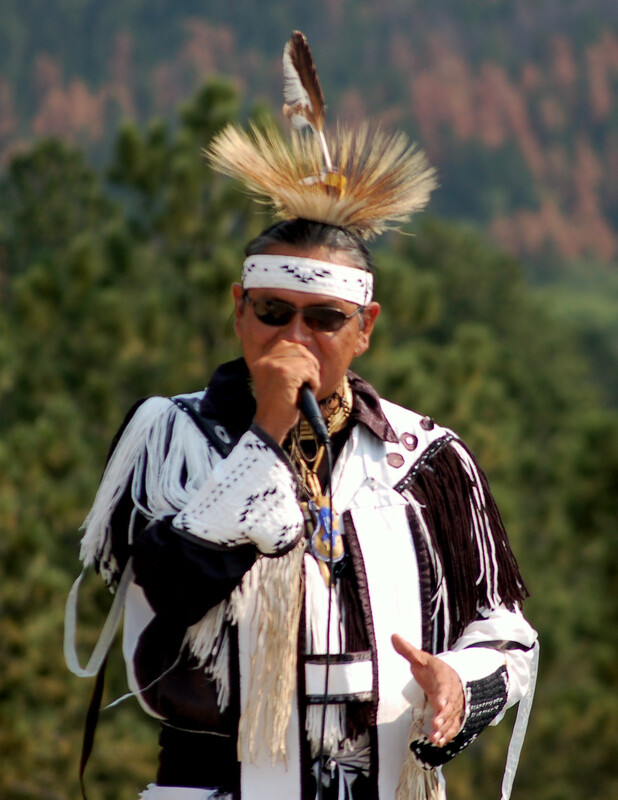 We had an opportunity to watch a Sioux in traditional clothing talk about the happenings and history of the Sioux, he preformed some native songs and dance as well. 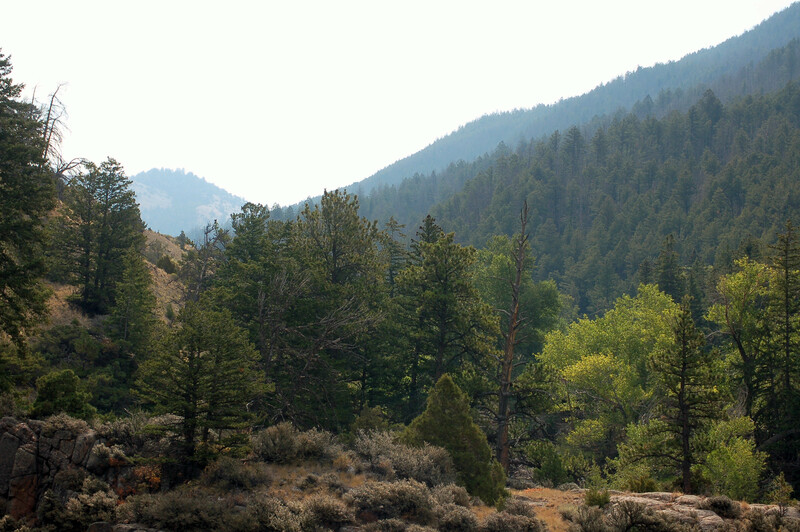 I stared in amazement at those grandiose rocky hills. Many glowed orange-yellow from the rays of the early evening sun. 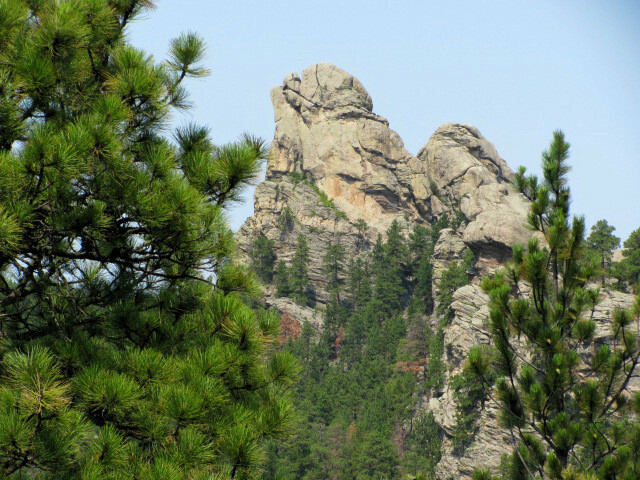 No wonder the Indians held the Black Hills with such reverence! 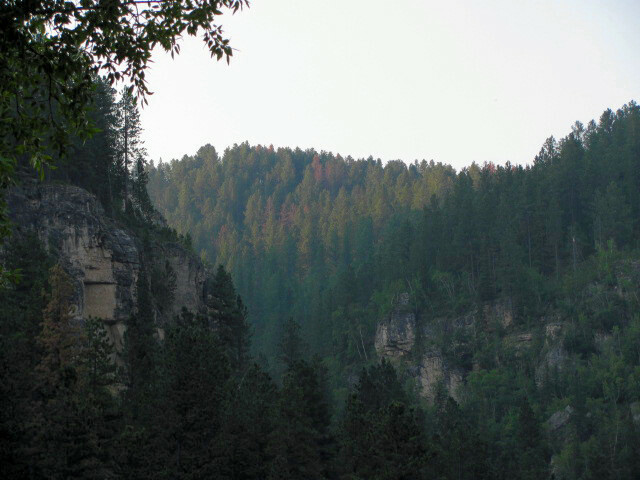 A few native American tribes known to have inhabited this area of South Dakota were the Cheyenne; Kiowa; Pawnee; Crow and in the 18th century the Sioux. (Lakota) The latter arrived here from their earlier Minnesota range. 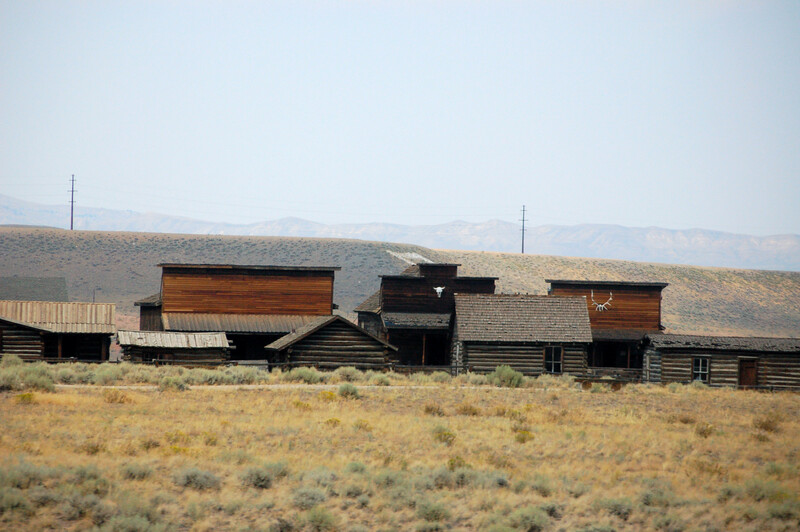 The westward movements and the discovering of gold would eventually lead to war. 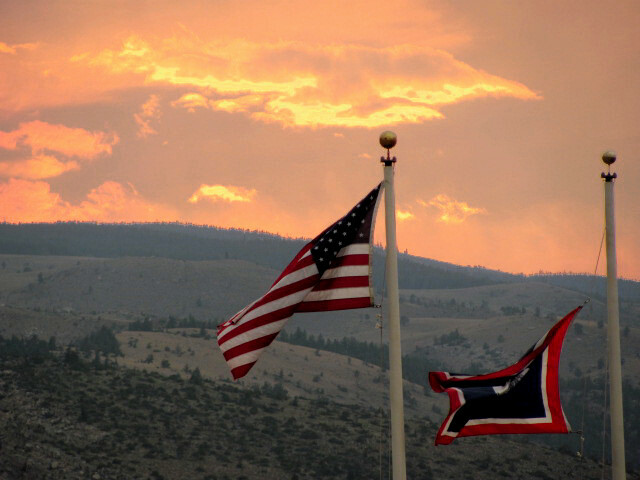 The defeat of Custer in 1876 was the result of this war. Wounded Knee is another well-known event because of this war. many Sioux women; elderly and children were massacred because of the American government’s need of these lands. 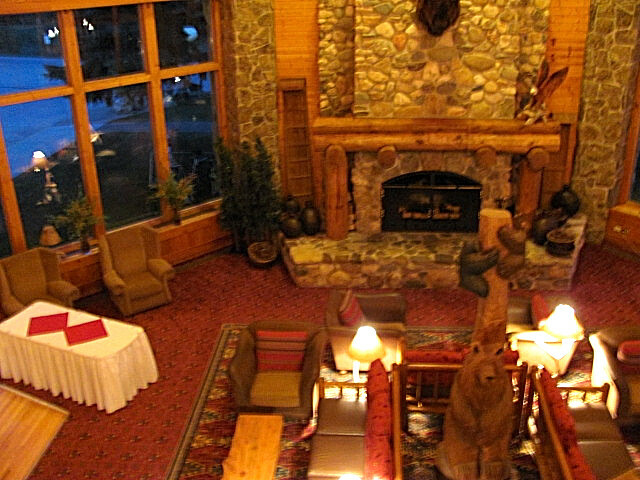 Early in the following morning I would be exiting the lodge for a few hours of hiking. I left at 5:35A.M. 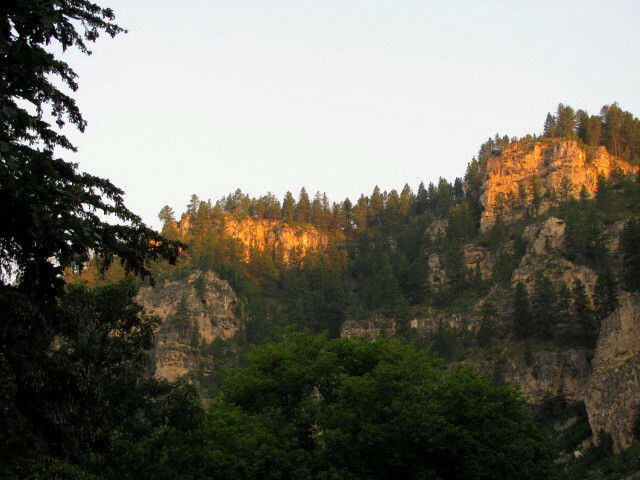 This hike was in hopes of seeing the sun rising and illuminating the western rocks. I, also hoped to see wildlife. The hike was very photogenic, but all I saw was a Great Blue Heron and two kingfishers this morning. 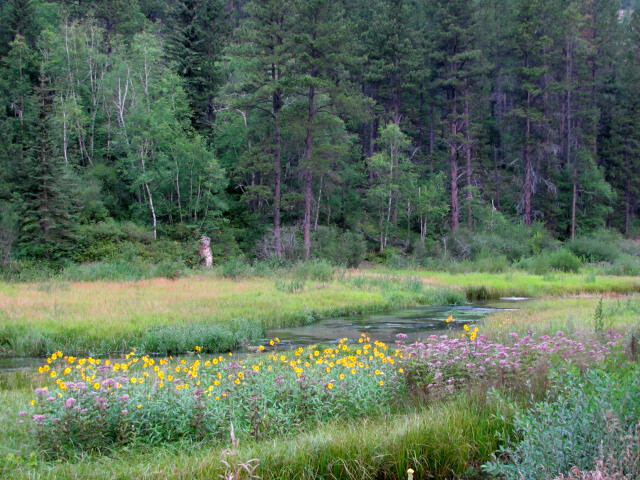 The thrill of wondering what was to be found around the next bend was exciting to me. Later while traveling to see some of the earlier sites we were able to see superb landscapes. I mentioned to Laurie how I could envision painted Sioux warriors quietly moving their ponies through the pine forests and grassy knolls. I could see these great men as if they were actually there! Weird huh! The following morning allowed a shorter time for a hike. 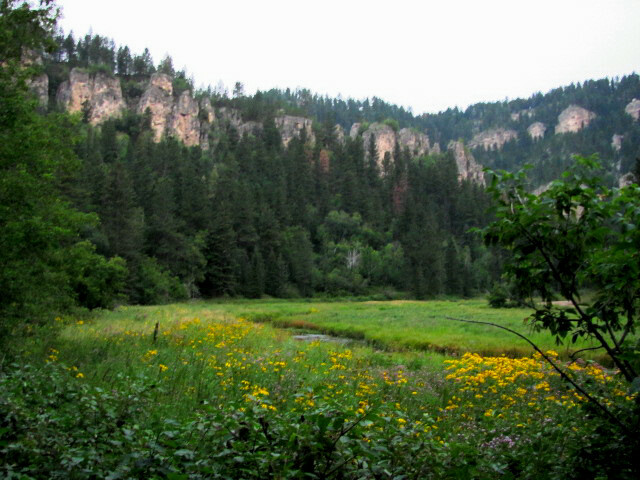 I emerged early again and headed up the Little Spearfish Creek. 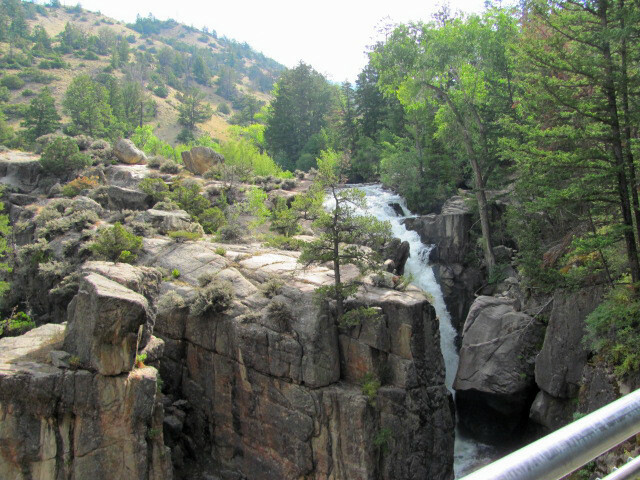 I wanted to see the Roughlock falls. I edged the watercourse seeing great blue herons and a little gray bird known as the Dipper. this amazing bird feeds while walking underwater in fast-moving streams. Over the last copy of days I was noticing a number of white-tailed deer. I would see a lot of these deer over the next several days! We saw the broad-tailed Hummingbird too. Leaving Yellowstone came about much too quickly, but there would be more beautiful and scenic observations to witness. We were heading east again. 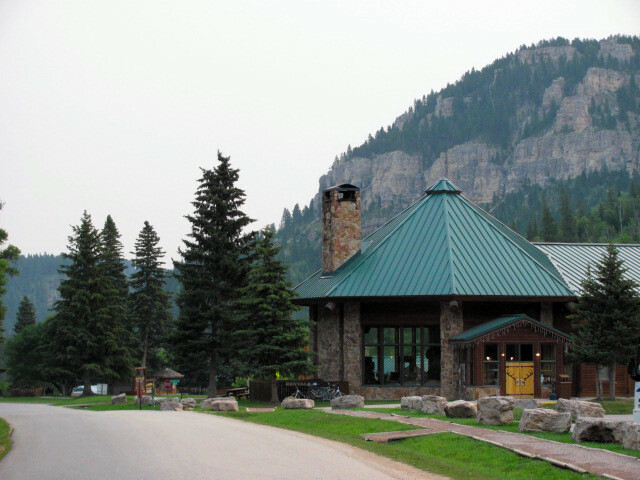 We traveled south of the Montana border and stopped in Cody, Wyoming. I have heard of Cody before. 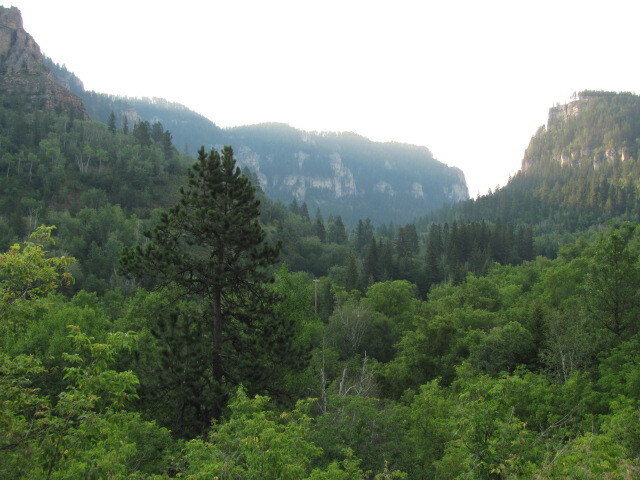 We saw spectacular high peaks and diversified terrain prior to reaching Cody. 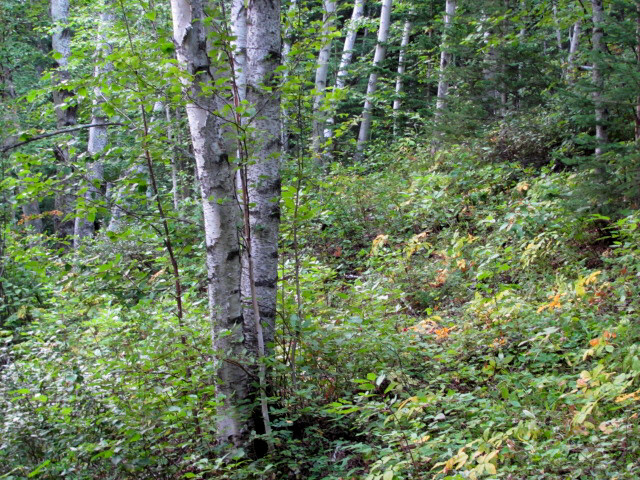 These hill consisted of rocky terrains in some places and very steep and others heavily forested slopes. Breathtaking is a word that comes to mind, but believe me no words can describe these sites. Photos can not capture the depths these sites either. The travel east continued and that “western feel” began to be felt again. We were entering cowboy country. 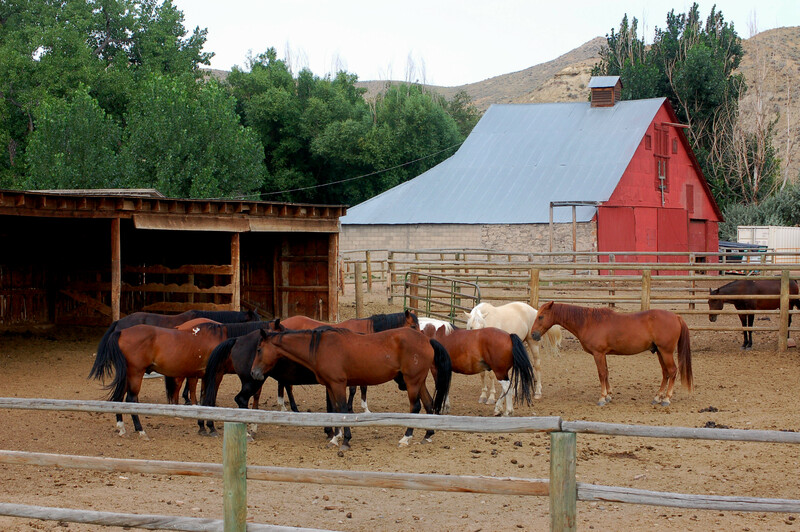 Cattle and horse farms began to be viewed along the travels. We stopped at the “Buffalo Bill Center of the West” in Cody, Wyoming. This building proved to be a great museum. The time we had to search through this museum was not enough for someone like myself. With my many interests a full day would have been required to explore all it had to offer. The museum is divided into various points of interests. Of course, since I do art, I enjoyed the “Whitney Western Art” exhibit. Another great interest was the “Cody Firearm” exhibit. Thousands of firearms were visible here. There were firearms from pre-revolutionary War era to modern times. They had firearms and holsters from many of the old western television series such as: Bonanza and have Gun Will Travel…. There is the “Draper Natural History” section located at this museum as well. 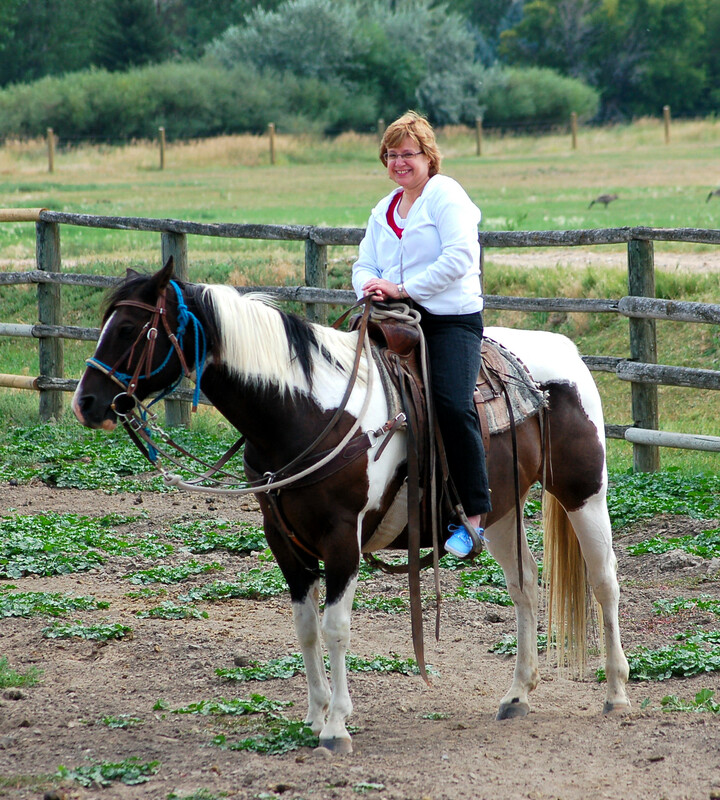 I saw many mounted species of wildlife along with natural looking habitat. 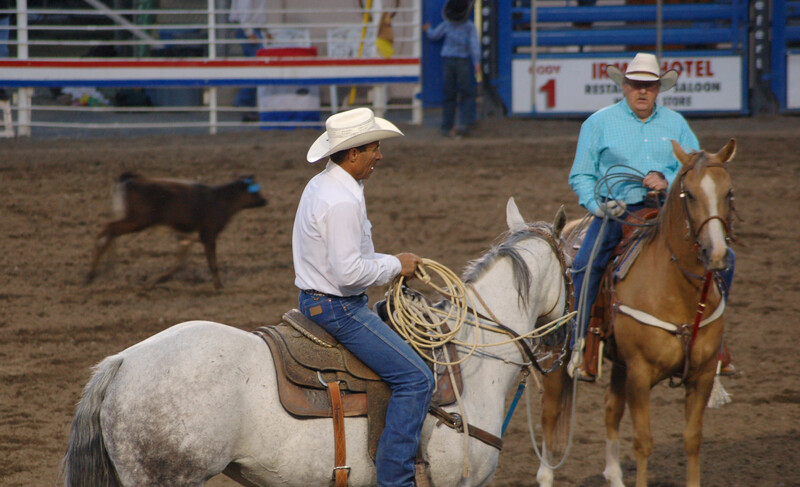 The same evening we attended the “Cody Stampede”. 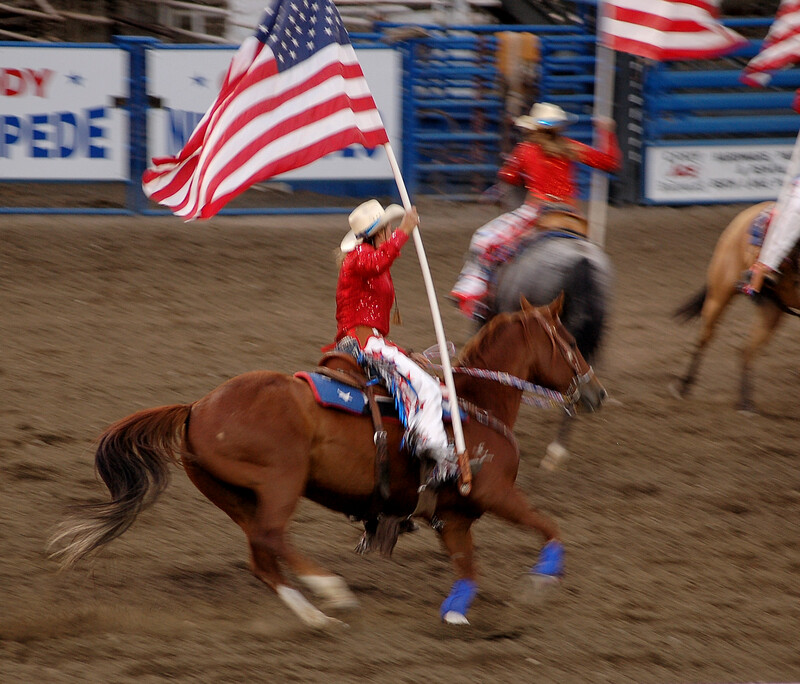 This is definitely a western rodeo. 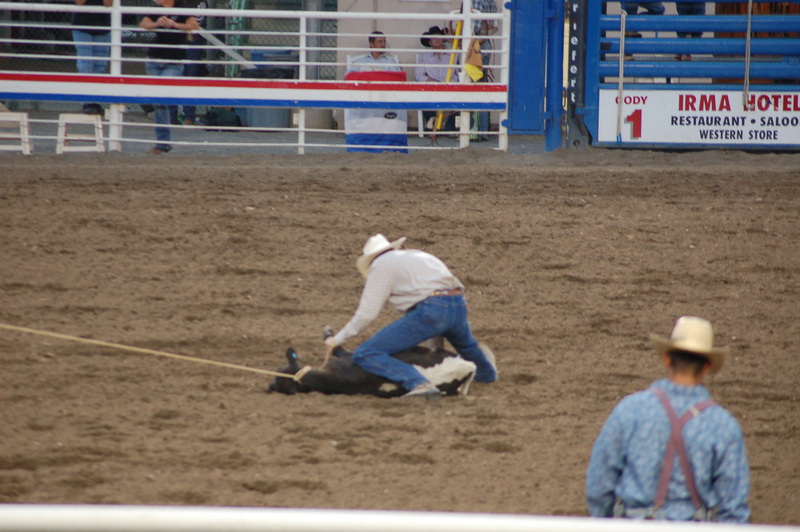 The rodeo featured bucking broncos; bucking bulls; calf roping events… They featured a kid event where any children from the audience were supposed to try to obtain a ribbon from a calf’s tail. There must have been close to 45-50 kids in the ring. One little guy was thrown into the air and no law suits. The people here are NOT willing to play the political correct madness that has become thoroughly engrained within much of America. I really appreciated that! The announcers said much about maintaining their heritage. They had a “see who does the best being shot” event. Young kids playing cowboy and would demonstrate their being shot acts. This was something I did often in my youth playing cowboys and Indians; Civil war; World war ll and so forth. 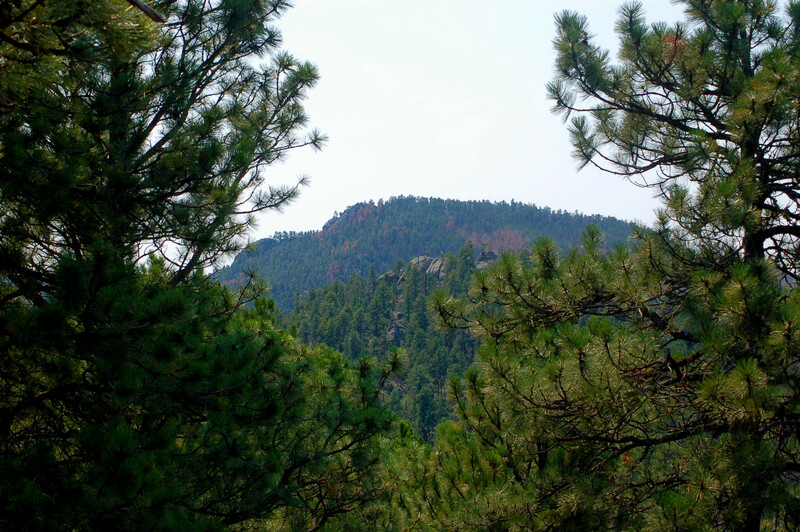 We would be heading towards the Black Hills soon! Sioux territory!! 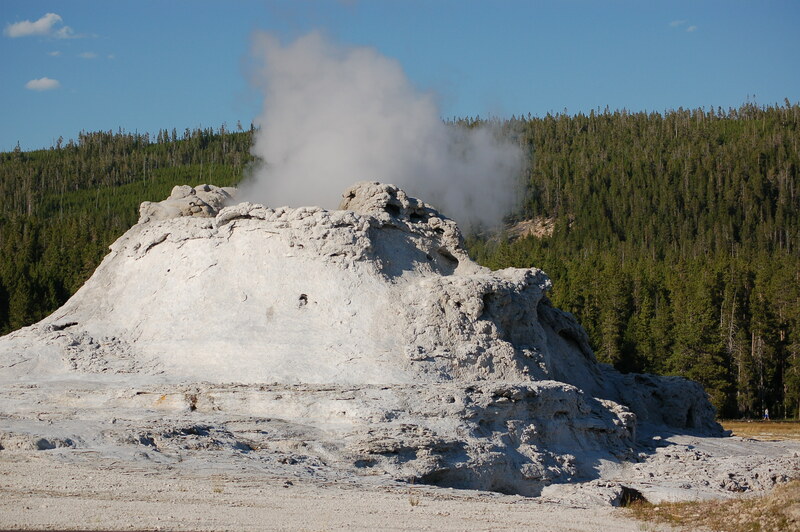 If one mentions Yellowstone Park and most people will think of “Old Faithful” Geyser. And no wonder for many. 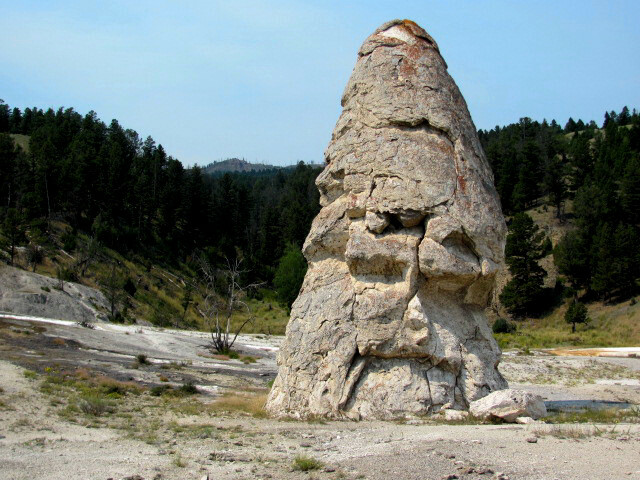 many years this famous geyser has faithfully displayed the show to thousands. The hot water eruption occurs approximately every 80-90 minutes currently. We finally were able to witness this interesting display! The water shots from around 135 feet to 180 feet in height. 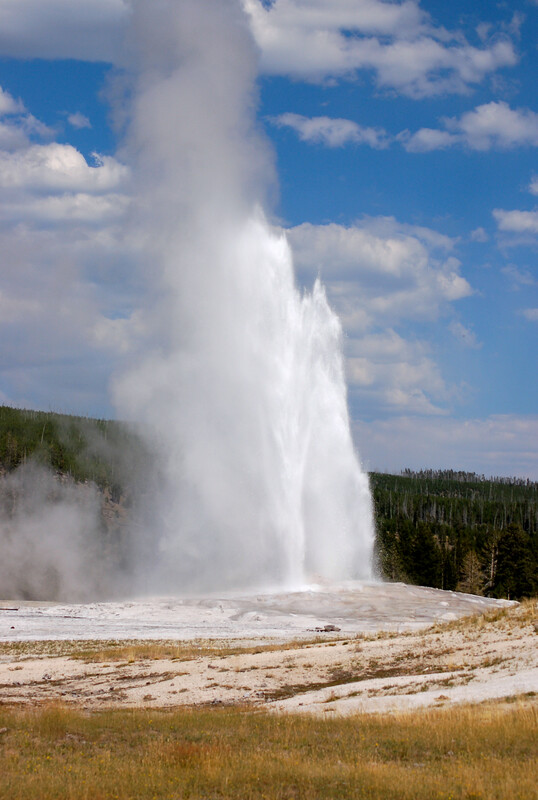 Approximately 3,200 to 8,400 gallons of hot water is shot into the air each time it erupts. Old Faithful was discovered in 1870, but I am sure the Indians of the area had known of the display many years prior to this. 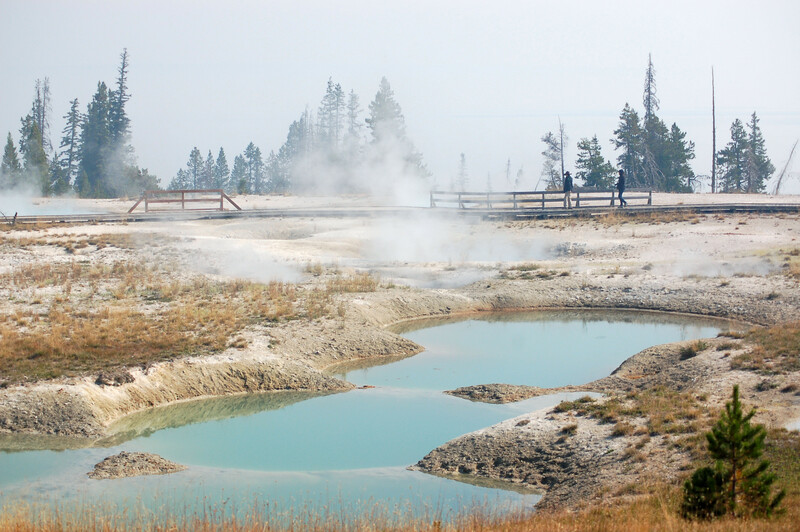 The fact is there are over 300 geysers in Yellowstone. We saw a few others too. The variances in geysers is interesting as well. 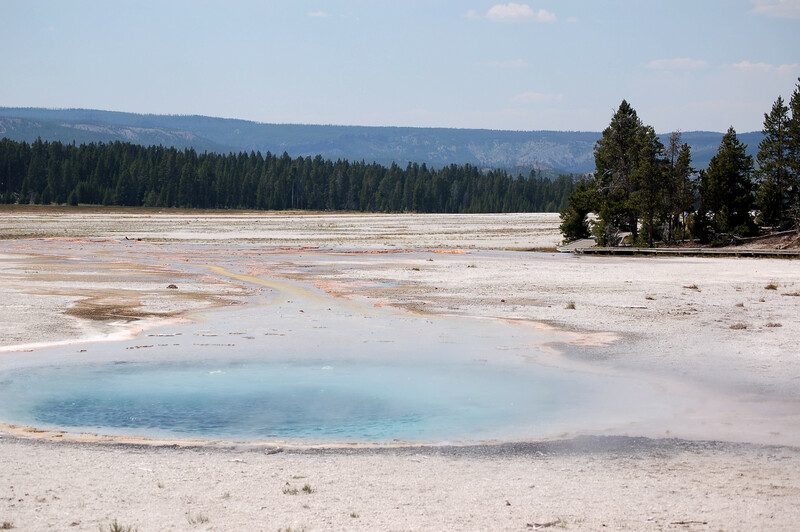 Fountain geysers erupt from broad pools. Cone geysers burst through narrow rock vents. however, Old faithful is the most recognized of them all. 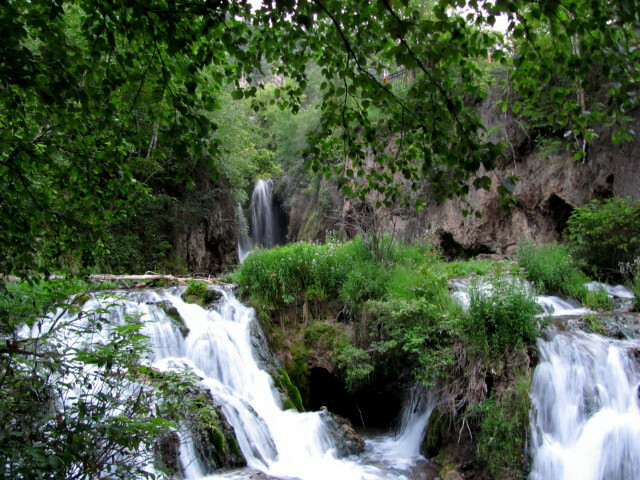 Another unique feature of this area are the hot springs. These continually yield water flowing to their surface and leaching out and about. Steam is usually present too. 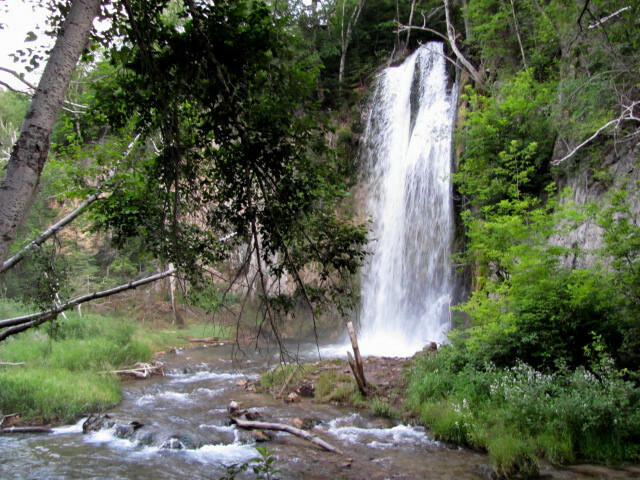 The water temperatures vary from around 150 to 170 degrees. 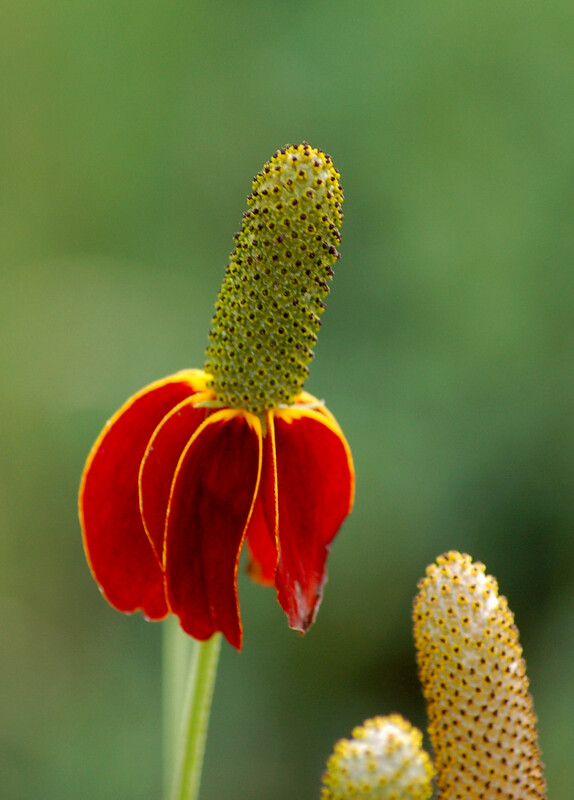 These may produce very deep pools of beautiful green to blue colors. Colors vary due to temperature and the bacteria growth within. Mammoth Hot Springs is one of more viewed of these hot springs. 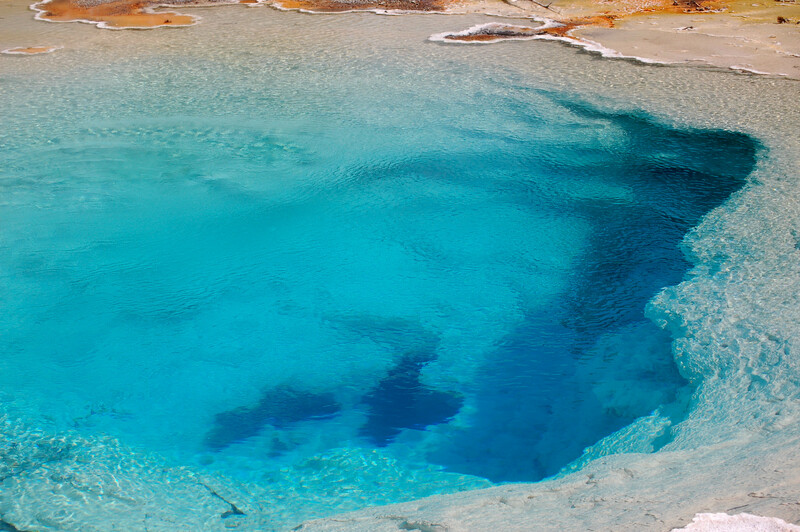 They are created by hydrothermal waters flowing through and interacting with rock and limestone deposits. These dissolve into calcium carbonate. The water flows from out and the deposits settle and grow. 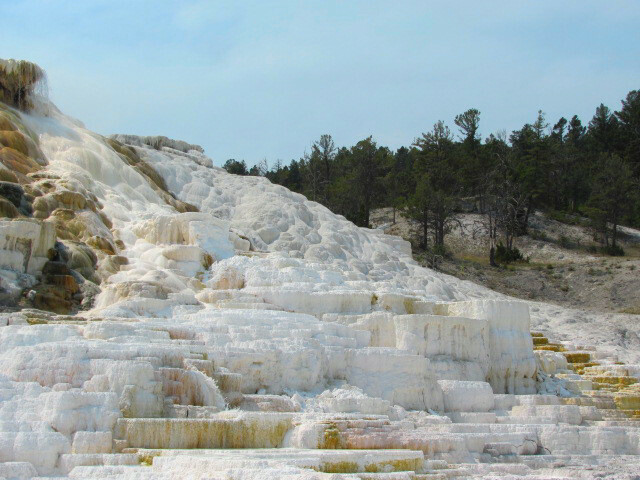 The Mammoth Hot Springs is very high with deposits and growing. The park has board walks throughout to walk and wonder. Other sites are known as “mud pots.” These plop and make gargling sounds. hydrogen sulfide is converted to sulfuric acid which break down the rock and clay into mud. The mud is of a consistency of a milkshake. The smell of “rotten eggs” is noticeable here.